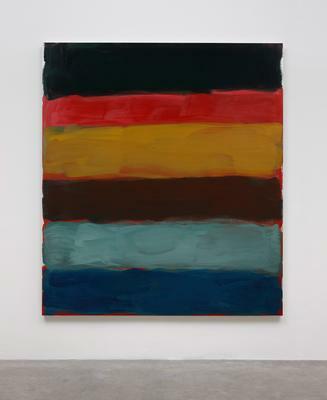 Sean Scully has been awarded 'International Artist of the Year' Award by Harper's BAZAAR ART China. The presitgious prize, which recognises 'outstanding performance in contemporary art', will be awarded on 22 March 2016 in Hong Kong. The award follows hot on the heels of a phenomenal year for Scully, whose Chinese touring exhibition Follow the Heart was recently voted the "best exhibition of 2015" by readers of Beijing News. Scully returns to China in 2016 with a new major touring exhibition, Resistance and Persistence, to visit Art Museum of Nanjing Universiy of the Arts, Guangdong Museum of Art and Hubei Museum of Art over the course of the next year. Harper's BAZAAR ART China is the first art magazine launched under the International Harper's BAZAAR Group, and is dedicated to promoting artistic dialogues between east and west. Debuted in 2012, Harper's BAZAAR ART's awards have rapidly become the best-regarded contemporary art prizes in Asia.